Maintaining a Test Database Mike Bianco. 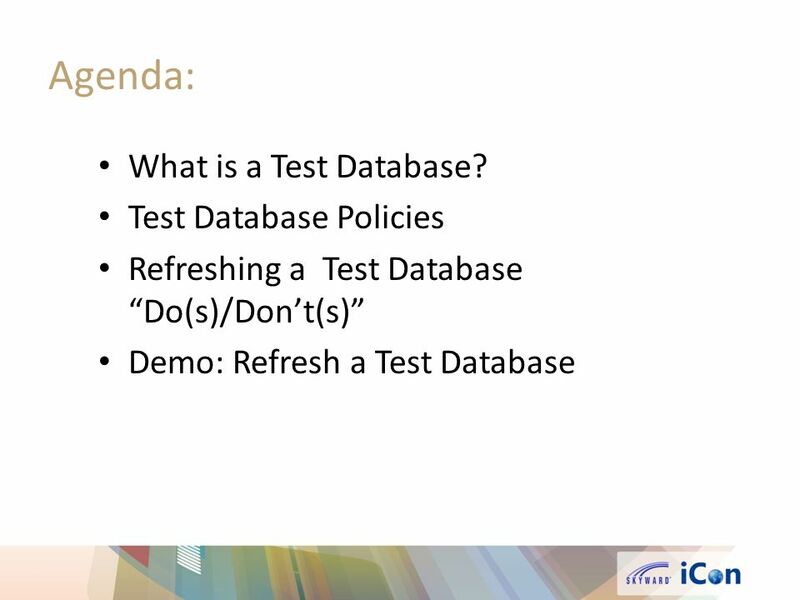 Agenda: What is a Test Database? Test Database Policies Refreshing a Test Database Do(s)/Dont(s) Demo: Refresh. 3 What is a Test Database? 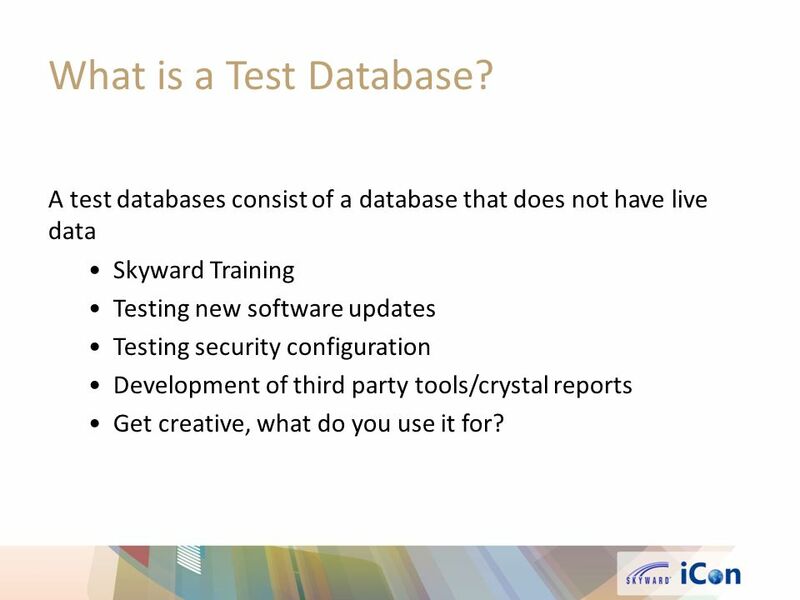 A test databases consist of a database that does not have live data Skyward Training Testing new software updates Testing security configuration Development of third party tools/crystal reports Get creative, what do you use it for? 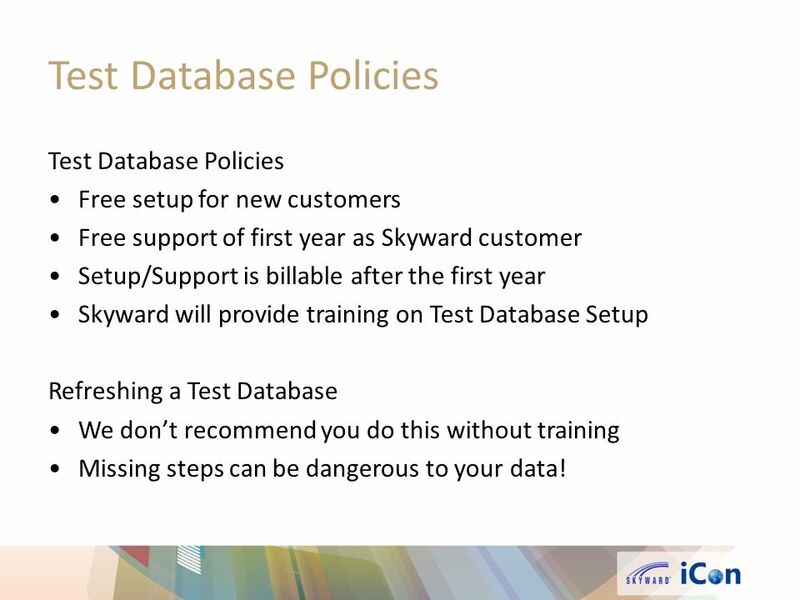 4 Test Database Policies Free setup for new customers Free support of first year as Skyward customer Setup/Support is billable after the first year Skyward will provide training on Test Database Setup Refreshing a Test Database We dont recommend you do this without training Missing steps can be dangerous to your data! 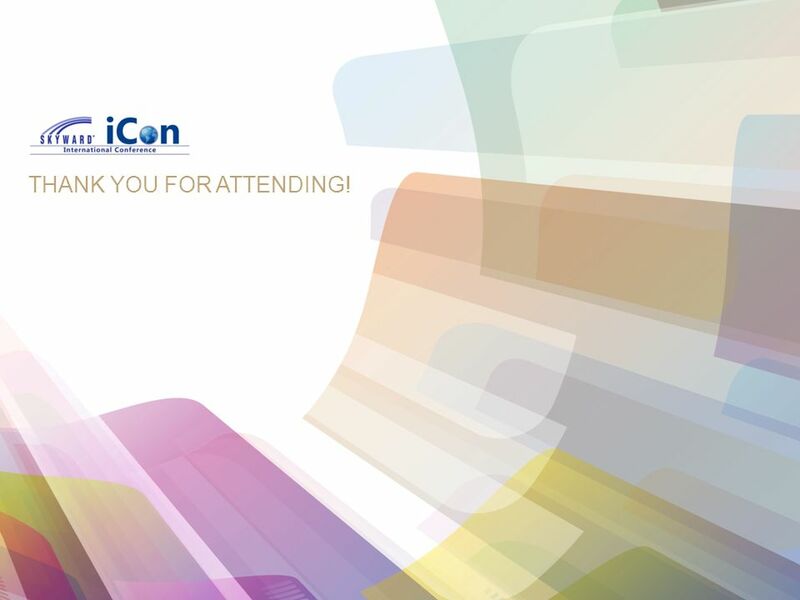 6 THANK YOU FOR ATTENDING! 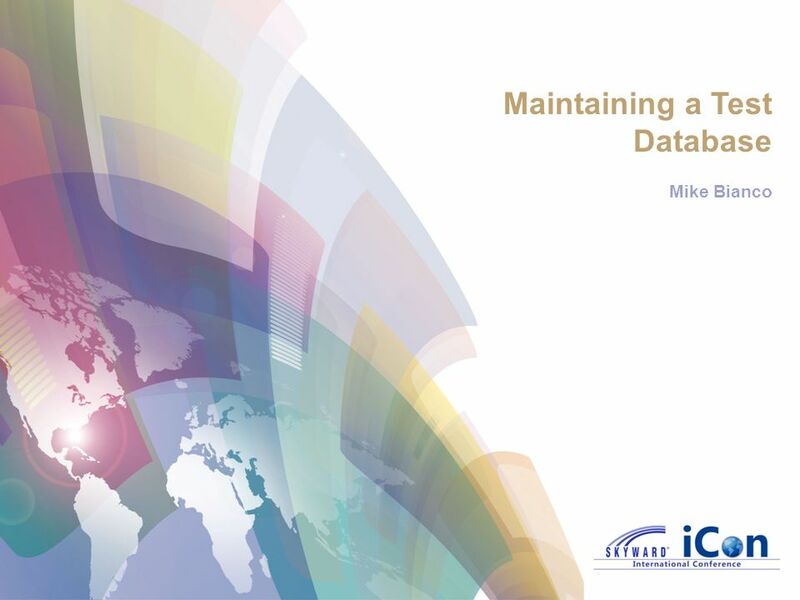 Download ppt "Maintaining a Test Database Mike Bianco. Agenda: What is a Test Database? Test Database Policies Refreshing a Test Database Do(s)/Dont(s) Demo: Refresh." © 2008 Alt-N Technologies - Confidential Technical Training and Demonstration Matt McDermott Team Leader - Product Developer. ©2011 Quest Software, Inc. All rights reserved.. Andrei Polevoi, Tatiana Golubovich Program Management Group ActiveRoles Add-on Manager Overview. QuickBooks Connect (Beta) Pilot Program Introduction October 14, 2013. ©2013 Software AG. All rights reserved. alex Burggraf Principal Systems Engineer (415) Software AG IT Health Check Overview IT Health Check Diagnostics. Efficient, Productive, Time-Saving Solutions TRANSACTION AUDITING Part of our RISK MANAGEMENT SUITE FOR LAWSON S3 Thank you for taking the time to view. File Server Organization and Best Practices IT Partners June, 02, 2010. OVERVIEW TEAM5 SOFTWARE The TEAM5 software manages personnel and test data for personal ESD grounding devices. Test and personnel data may be viewed/reported. David Johnson | Page #1 © 2009 Blackbaud What Every Blackbaud DBA Ought to Know Welcome to the Support Roundtable for DBAs Presenter: David Johnson, Technical. “Take your gradebook to the next level with GradeSpeed.NET” Gradebook Features Presentation. ADVANCED FUNCTIONALITY & TROUBLESHOOTING. Page 2 Agenda Main topics Advanced Policy Manager Server configuration Resolving Apache Web Server security. Skyward Server Management Options Mike Bianco. Agenda: Managed Services Overview OpenEdge Management / OpenEdge Explorer OpenEdge Managed Demo. 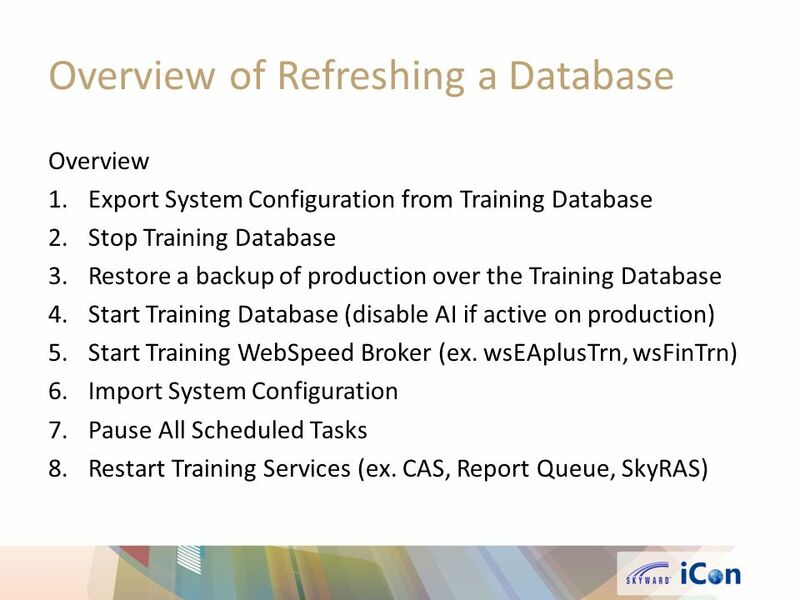 Database Optimization & Maintenance Tim Richard ECM Training Conference#dbwestECM Agenda SQL Configuration OnBase DB Planning Backups Integrity. LIONS LIONS. CTA Schedule Finder Requirements Overview Requirements Overview Technical Requirements Primary Functional Requirements Administrative Requirements. © 2014 IBM Corporation 1 Centralized Agent Update IBM Workload Automation 9.3. Job Scheduling Services Proposal for Customer Fee Structure. Module 16: Software Maintenance Using Windows Server Update Services. Dedicated Windows 2003 Servers Dedicated Windows 2003 Servers Application Server Application Server Database Server Database Server Web Server Web Server. Sampleminded® Support Overview Last Updated: 1/22/2013 1.